As we transition from fall to winter, the air outside becomes cooler, and naturally, the humidity starts to drop. In our efforts to stay warm and cozy, many of us crank up our HVAC systems which only exacerbates the problem. While our heating system increases the temperature, it doesn’t add any moisture to the air. The result? Relative humidity levels in our homes drop quite low during the wintertime. Any moisture in your home is quickly sucked up into the air, including the moisture that evaporates from your body. It’s not unusual for humidity to fall well below 30%, and with it bring a number of issues, including, dry/itchy skin, nosebleeds, cracked lips, an uncomfortable night’s sleep, and even damage to your home’s woodwork. For those of us that already hate the cold and snow, being surrounded by dry indoor air at home can make winter that much more miserable. According to the Mayo Clinic, ideally, the humidity levels in your home should be between 30 and 50 percent. Below this, and you’ll experience the problems we’ve just described. Above that, excess moisture in your home can promote the growth of bacteria, mold and dust mites. We recommend purchasing a digital hygrometer to monitor the relative humidity inside your house. So, what is the best way to humidify a room and combat dry air? By far the best solution to fix dry indoor air is to use a large humidifier. A humidifier will rapidly increase the moisture in the air and help maintain a comfortable level of humidity. 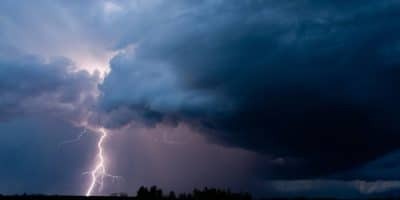 However, both the cost to purchase a humidifier, as well as the increase in electricity costs as a result of its near-continuous operation during the driest periods, may make it too expensive for some. 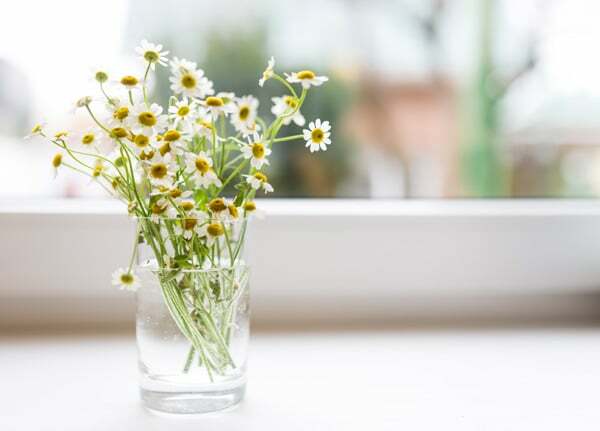 For that reason, we’ve taken the time to also include alternative Eco and budget-friendly solutions in this list of ways to help raise the humidity levels in your home. Some of our suggestions will only require you to make small adjustments to your regular household routines! Let’s get started. As we said earlier, the most effective way to humidify your home is by using a large room humidifier. If you decide to use a humidifier, just make sure to choose a model that is powerful enough to cover the full area of your house or the room where you need to add humidity. Many consumers tend to purchase small models that are incapable of humidifying sizeable rooms and are left feeling dissatisfied with their purchase—don’t make that mistake. 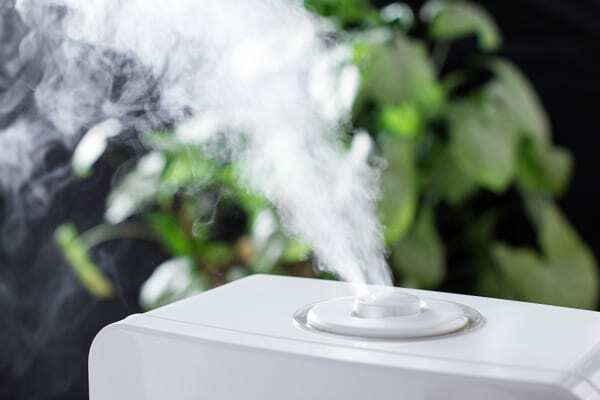 Check out our large room humidifier buying guide for some solid recommendations on what to buy. While pricey, this is always going to be the best option. Do you normally use a dryer when doing laundry? Try a drying rack positioned in a room or living area that you need to humidify instead. 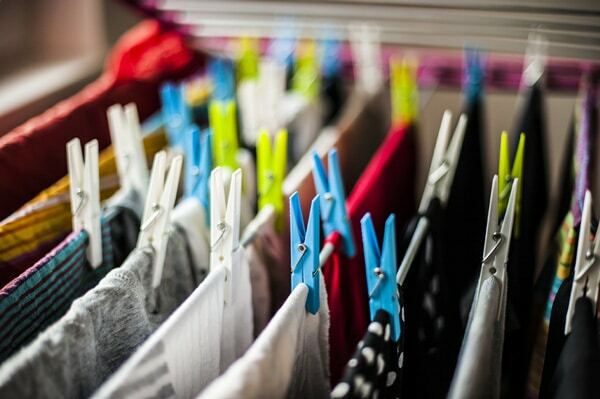 As your clothes dry, the moisture from them will evaporate into the air, and in turn, raise the humidity levels. Drying racks are very affordable, and they can fold up making them easy to stow away when not in use. It may take a little longer than using a dryer, but remember you will also reduce your electricity bill with this natural solution. 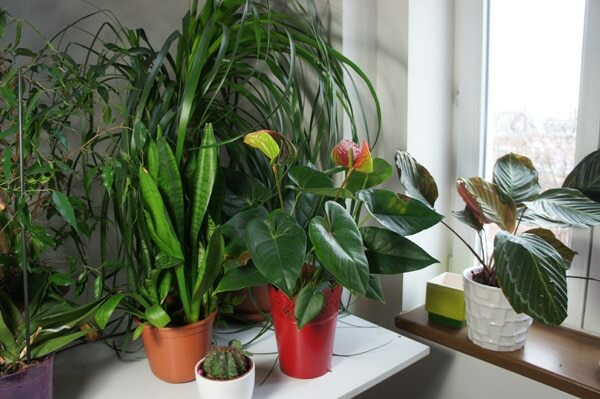 Houseplants can help add humidity in your home through a process known as transpiration. Plants absorb water through their roots from the soil, then circulate the moisture through their stems up to their leaves. As the water reaches the leaves, plants will release moisture into the air. Just remember to water the plants frequently or else the process will not occur (and the plants will die!). Yes, we all love our privacy when in the bathroom, but when you’re in the shower, it’s a good idea to leave the bathroom door open if you need to increase the humidity in your house. The moisture from the evaporating water in your hot shower will make its way throughout your home. If you ever take a bath, don’t drain the water right away after getting out. Any remaining heat in the bathwater will still cause some evaporation and add moisture to the air until the water fully cools. You can also try doing this with the kitchen sink if you hand wash dishes. Note: If you have small children, we do not recommend leaving bath water unattended. Another tried and true method to add some moisture to the air is to place bowls of water (either metal or ceramic) on top of the HVAC registers in your home. 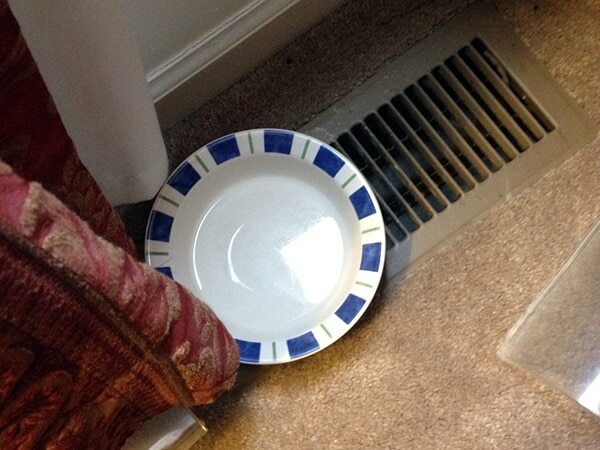 The warm air blowing against the bowls will cause the water to heat up and start to evaporate. Depending on how dry your house is and how much heat you’re blasting, you will likely need to replace the water in the bowls about once a week. Don’t have floor HVAC registers, but have large window sills? Place glasses of water on the windows that receive a good deal of sun during the day. 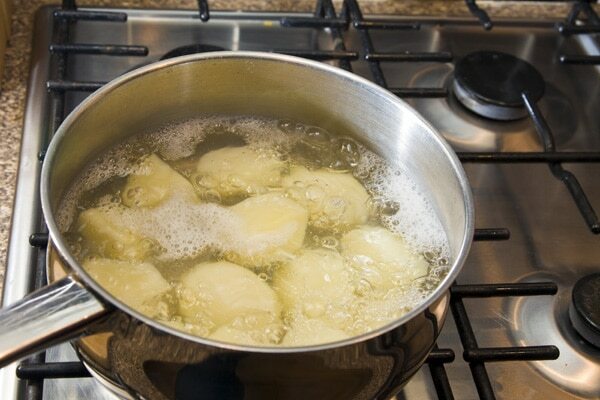 Over time the water will heat up and evaporate, however much more slowly than the previous method. Most of us use the microwave to heat up water or even cook. 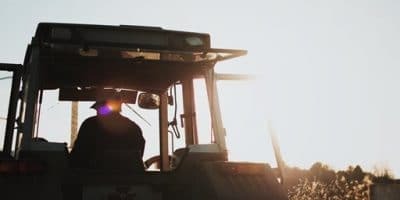 By doing so, you’re missing out on a significant source of moisture which works even faster than many of our methods we’ve listed. Also, your food will taste much better too—at least we think so. Same goes for your oven if it can be cooked on either a stovetop or in an oven, use the stovetop instead. Your oven will dry out the air even more, while the stovetop adds moisture. Dishwashers use a lot of water and a lot of additional energy in the final drying cycle. 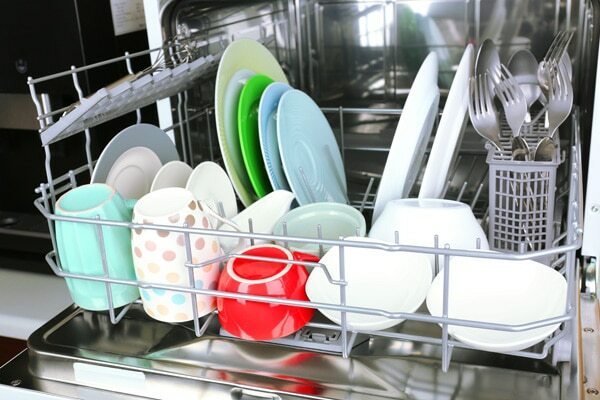 After the last rinse cycle completes, open the dishwasher door and let your dishes air dry instead, which will not only save energy but add much-needed moisture to the air. Indoor water fountains aren’t just decorative and relaxing, they can also increase the humidity of the rooms they’re in. 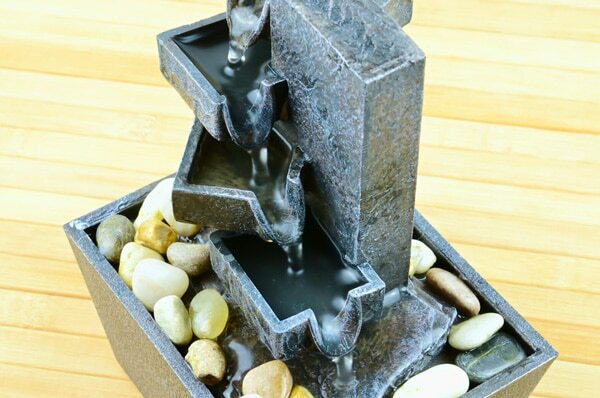 Place a fountain in your driest room, and near sources of heat or direct sunlight to promote the evaporation process. It’s admittedly quite a low-tech solution, but it works. 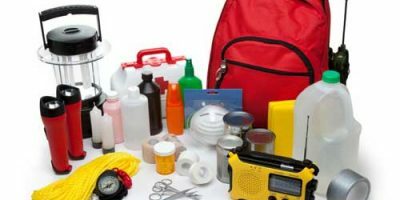 If your house is especially dry, walking around with a water spray bottle might help. 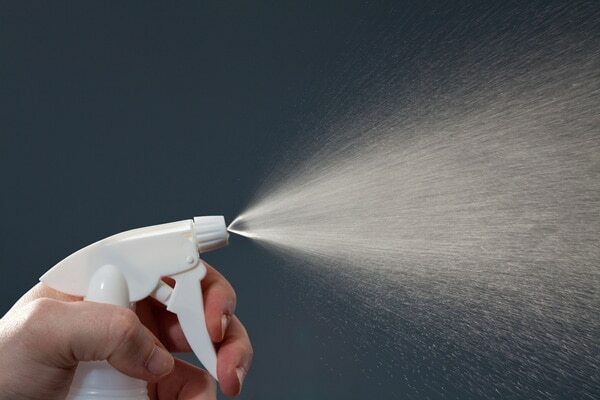 Look for spray bottles that are capable of spraying a fine mist. One word of caution: don’t spray too much, as wet surfaces could help promote mold and bacteria growth. 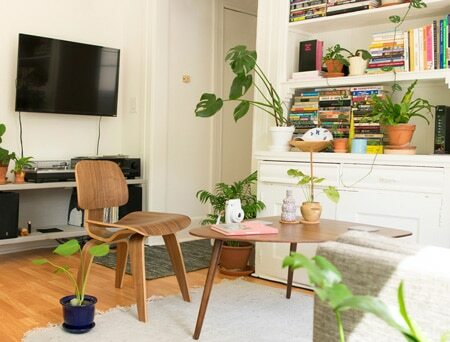 As you can see, apart from using a humidifier, there are many natural, low-cost and even free ways to raise the humidity in your home up to much more comfortable levels. However, a large humidifier is going to be the best way to add moisture to dry air and to maintain an ideal level of humidity inside your house. Whatever method you choose, we’re sure that these strategies will help make being indoors during the winter all the more bearable. 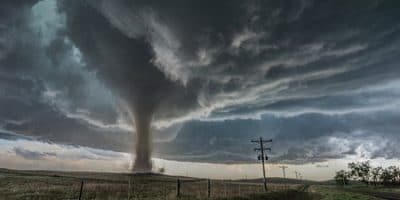 What Country Has the Most Tornadoes in the World?